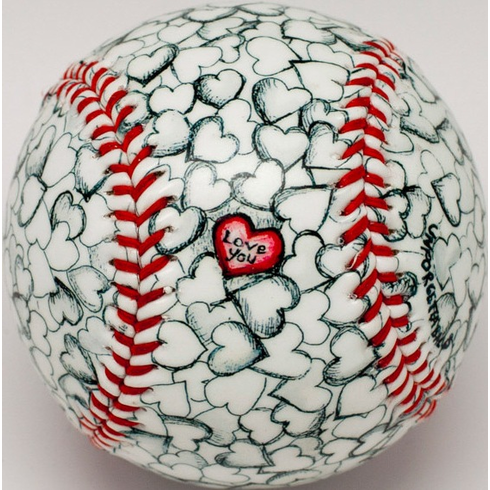 White baseball covered with white hearts. Only one special little heart painted in red says �Love you�. For that very special person in your life!